Don’t settle for the constant noise of dripping water coming from your kitchen sink. Each drop you hear is only driving up your utility bill. 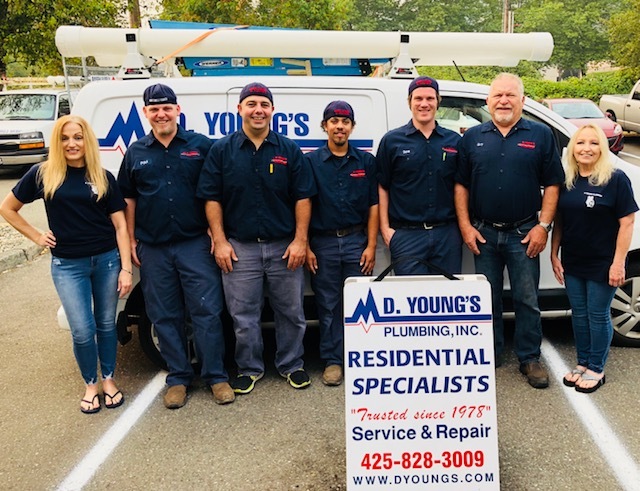 When you need help and need it fast, call the experts at D. Young’s Plumbing Inc.
Our experienced plumbers have years of experience and a long list of satisfied customers to prove our devotion to our work, our excellent customer service and our commitment to you for quality and affordability.